Finding the suitable gift for a correct person can be tricky. 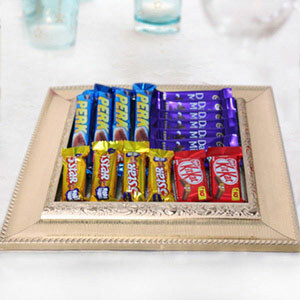 When in doubt, give Chocolate it is affordable and practically guaranteed to put a smile on someone’s face. Gift your friends and family member or any one who close to your heart, this special basket containing delicious Six Sticks of Homemade Heart shaped Chocolates comes with decorative sticks too. It can be gifted for several different occasions Like Birthday, Anniversary, Mother''s Day and many more. Convey special sweet messages by sending this basket in thoughtful way through Giftalove to your sweetheart. Each Chocolate is crafted with attention to detail, shrink wrapped, tied with a bow for presentation and ready for exclusive gifting. 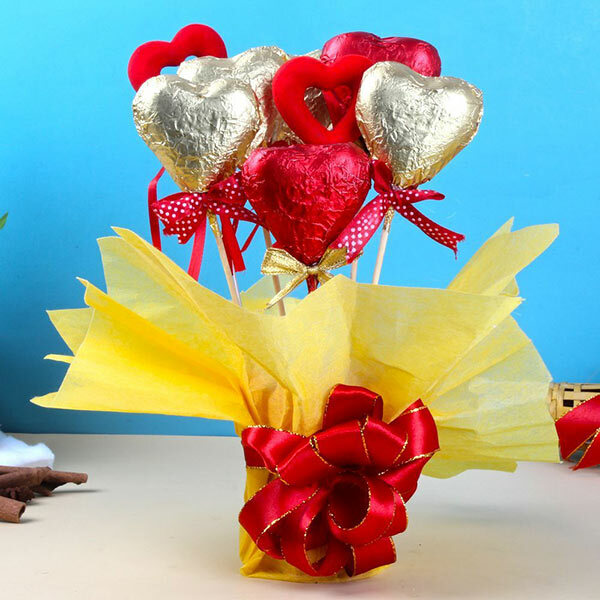 6 Sticks of Homemade Heart shaped Chocolates with 2 Decorative sticks arranged in a Basket (Weight : 200 Gms).